Defects in devices manufactured by DePuy Orthopaedics have led to an unusually high number of implant patients requiring revisionary surgery for a second replacement device. DePuy, a division of Johnson & Johnson, has suspended product sales and informed the Food and Drug Administration (FDA) of the recall. The recall includes the DePuy ASR Hip Resurfacing System (launched in 2003) and the DePuy ASR XL Acetabular System (launched in 2004). An unusually high number of patients with DePuy hip devices required corrective surgery within five years of the initial operation, with about 12 percent of ASR Hip Resurfacing System patients and around 13 percent of ASR XL Acetabular System patients needing revision surgery. DePuy states that no more than five percent of patients should need a replacement within five years. DePuy hip replacement systems have also been linked to metallosis. 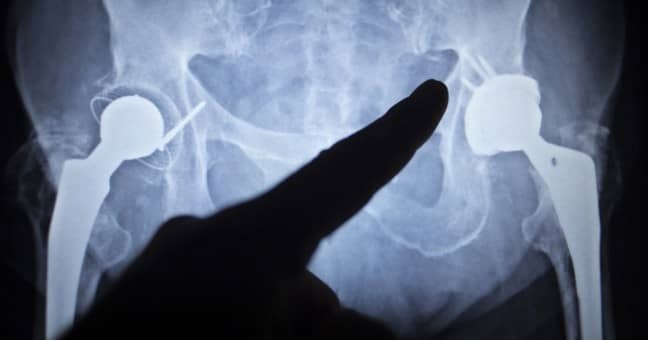 Cobalt is used to make metal-on-metal hip implants, and as the metal components of the hip device rub against each other, tiny cobalt particles can be released into the bloodstream. Those particles can build up over time, and eventually lead to cobalt poisoning. If you are affected by the DePuy hip replacement recall, the company is willing to offer hip replacement settlements to cover patients’ costs. Be aware, however, that you may be entitled to additional compensation for your losses, pain, and suffering. DePuy ASR hip implant patients should contact a lawyer before signing any agreements with the manufacturer. The FDA called for a Class I recall of the DePuy knee device, as evidence indicates its design may lead to fractures. An FDA Class I designation denotes an item that may cause severe issues, injury, or even death. If fitted with a faulty device, the patient may experience pain when simply shifting weight, as the tapered connector between the sleeve and base may not be able to handle a wide range of everyday movement.